The Chelsea forward is owned by only 2.6 per cent of FPL managers for his visit to West Ham United. Giroud made a big impact in his first start of the season against Cardiff City last weekend. Replacing Alvaro Morata (£9.0m) as the lone striker, he supplied two assists to tally 10 points in the 4-1 victory. The Frenchman now has three assists from the last two Gameweeks ahead of a trip to the London Stadium. He has a fine record against the Hammers, scoring six goals and providing three assists in 10 Premier League meetings. And the statistics highlight Giroud's influence under new head coach Maurizio Sarri. The forward's total of nine chances created is second only to Sergio Aguero's (£11.4m) total of 12 among FPL forwards, despite playing only 157 minutes. He has also recorded seven shots on goal, averaging an effort every 22.7 minutes. West Ham, meanwhile, have yet to keep a clean sheet and are ranked in the bottom three for shots conceded, with 78. 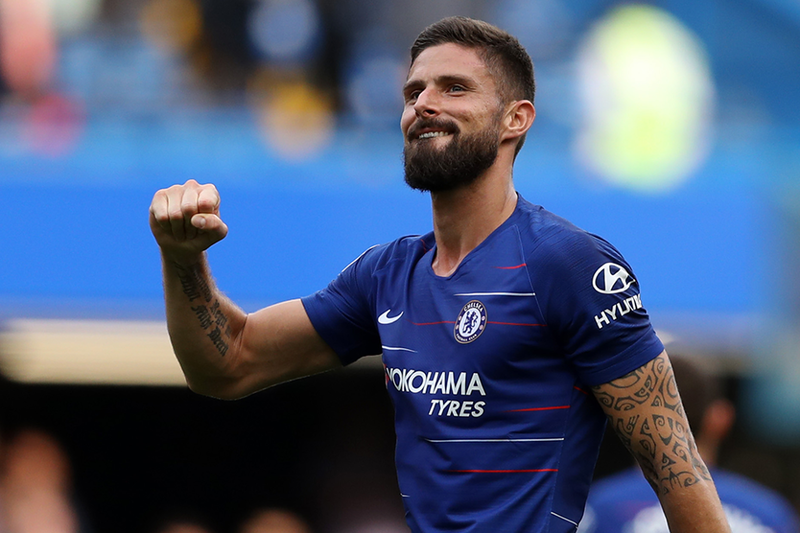 As the new spearhead of Chelsea’s in-form attack, Giroud can heap more punishment on their defence.